Usually on Monday nights I do my weigh in but I am only weighing in once a month and that has been going great. The daily compulsion finally stopped but there are times when it’s difficult to avoid the scale. I decided to start keeping track of my binge free days again, and as I am in bed, I am about to finish my second consecutive day without a binge. Hooray. I am super tired. I did my 6 AM pump, and my 4:30 pm low impact aerobics class. Both were really fun and I am so glad I went to them. My energy level is already so much better than it has been. I got a lot done tonight. I started using my planner to make checklists for each day of what I want to accomplish and eat. I am trying to eat every few hours and it helped today. But it was too long from my afternoon snack to dinner and I was starving. Especially since I worked out twice today. Ok, I have to go to sleep. I set my alarm early tomorrow in hopes I get up and do my half hour 21 day fix exercise and then get ready and get to school on time or early tomorrow. Woo hoo! 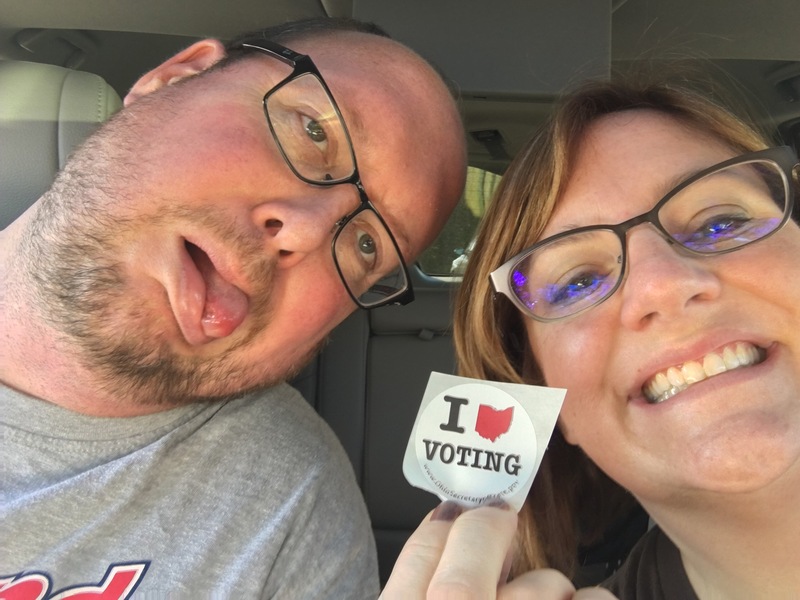 PS Craig and I early voted yesterday. It was a two hour wait. So we were happy to be finished.